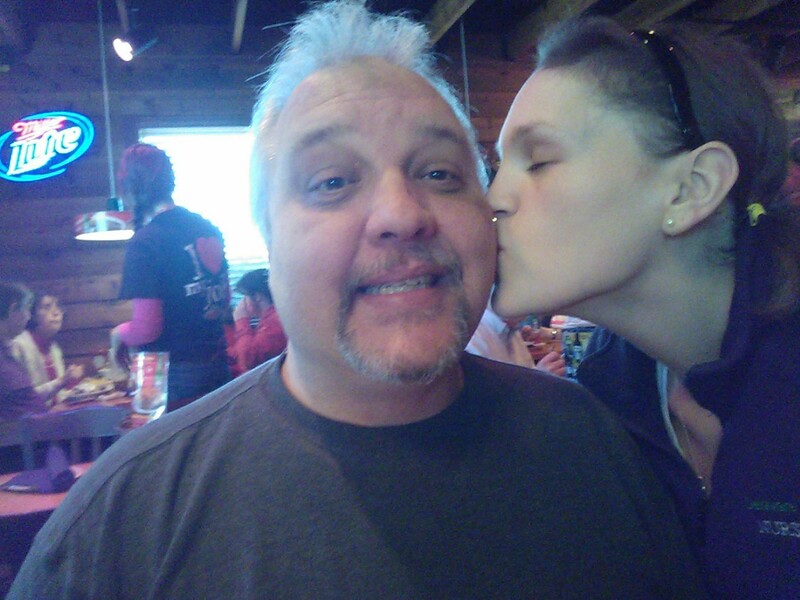 V- Day…. Sounds an awful lot like D-Day, doesn’t it? I’m really not that cynical when it comes to February 14th. I’m just not too pleased with the result of my exam today. In fact, I came home thinking I did pretty well, checked my grade, and dug into to PB for emotional support. So I met my girlfriends at Dunkin, as I do every test morning and enjoyed a small coffee and oatmeal. I ate Better Oats Fit Cinnamon Bun oatmeal. It really hit the spot! Before the exam, popped my Russell Stover’s sugar free Mint Pattie. Apparently, the grades of the exam were all over the place! Luckily, I had my valentine dinner to look forward to. 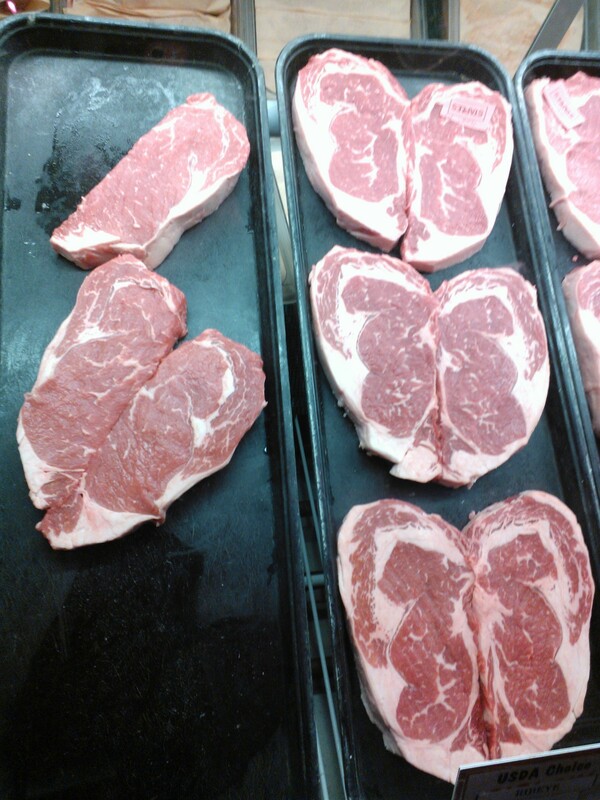 Valentine’s Day is the one day a year, dad and I make sure we get to eat steak! We headed to Texas Road House! YUM! 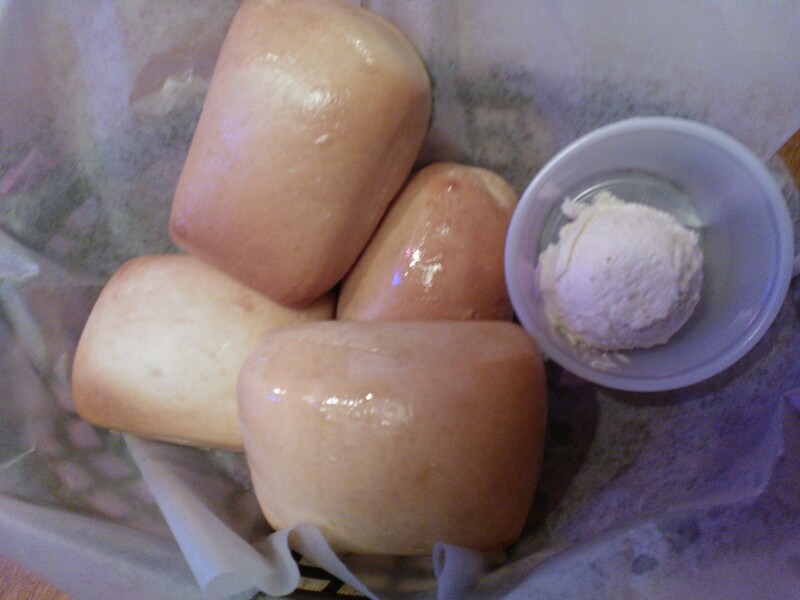 I love the sweet rolls and cinnamon butter (no matter how high the calories are)! 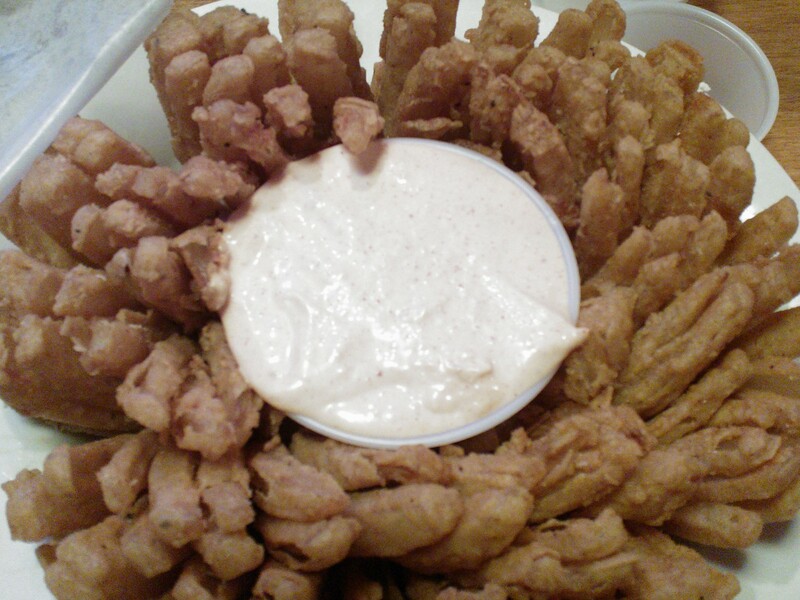 Dad can’t resist the onion blossom. 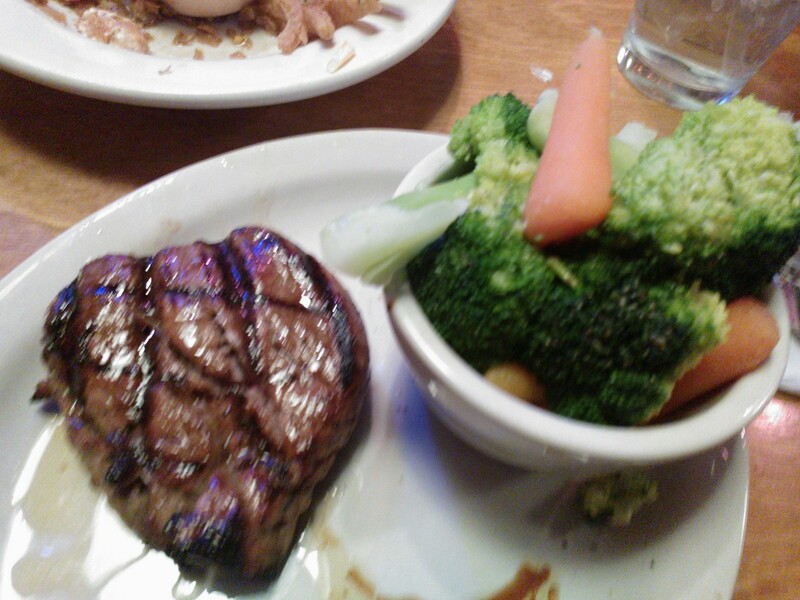 Dallas filet with some amazingly bright and crisp streamed vegetable and a side salad. 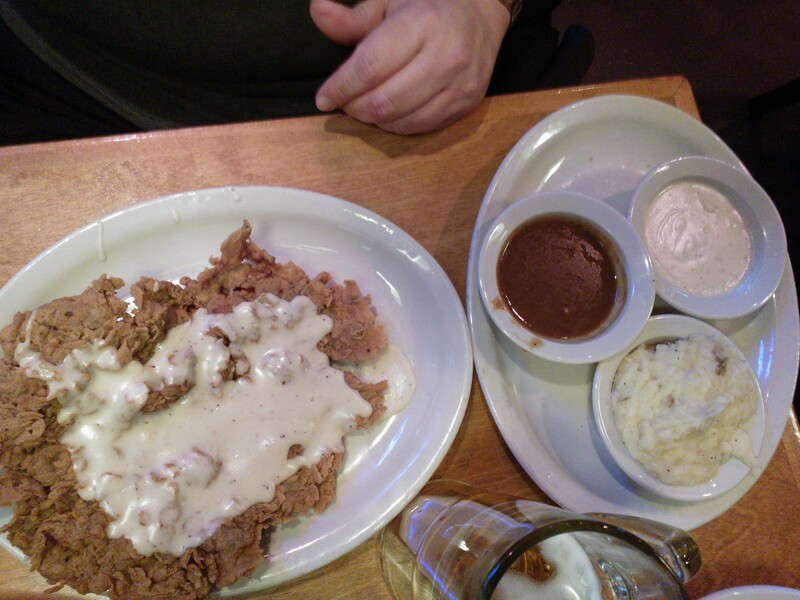 Dad got the country-fried steak with a side salad and bleu cheese and mashed potatoes with gravy.